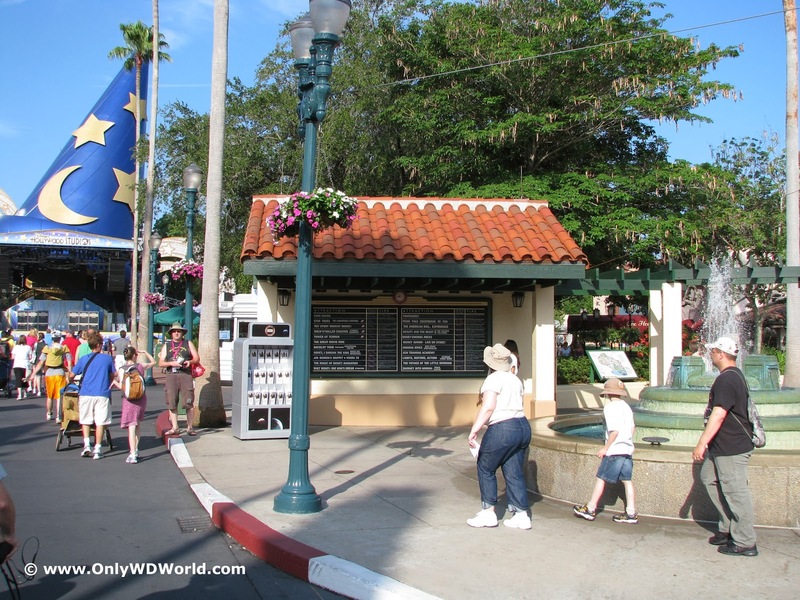 When you visit Disney's Hollywood Studios, one great place to pause is at the Attraction Board at the corner of Hollywood Boulevard and Sunset Boulevard shortly after you enter the theme park. There is a certain charm to this low tech guide to all that is going on in this Disney World manifestation of early 1900's Hollywood. At this sign you can see what the current wait times are for all of the attractions in the park as well as parade times and tips. You will see the sign on your right hand side as you make your way down Hollywood Boulevard towards the giant Sorcerer Mickey hat. From a design standpoint it blends in almost seamlessly with the buildings around it and does not seem out of place at all. You get the feeling that you are at a train or more likely cable-car stop in Hollywood when you encounter this helpful sign. Instead of the transportation schedule though you get an amazing amount of helpful information if you take the time to stop and check it out. With all of the great Apps that exist to help you find your way, this old school sign still does the trick very well. 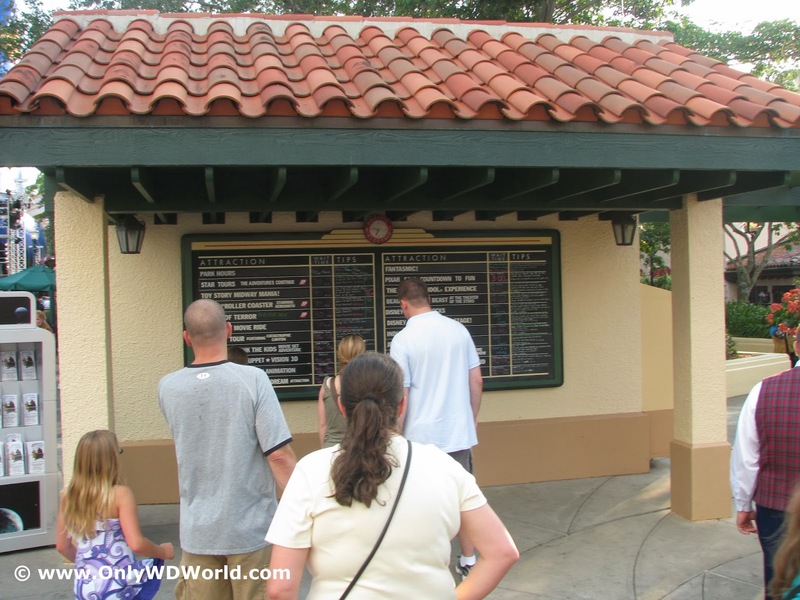 Descriptions of each attraction in case you are not familiar with them. Next time you visit Disney's Hollywood Studios make sure that instead of rushing by this sign on your way to Toy Story Midway Mania, you take a moment to stop and check it out! 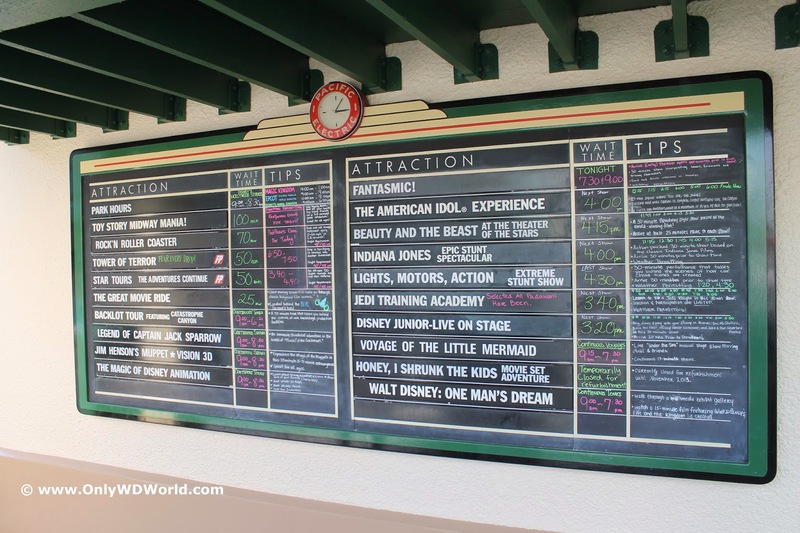 0 comments to "Checking Out The Attraction Board At Disney's Hollywood Studios"